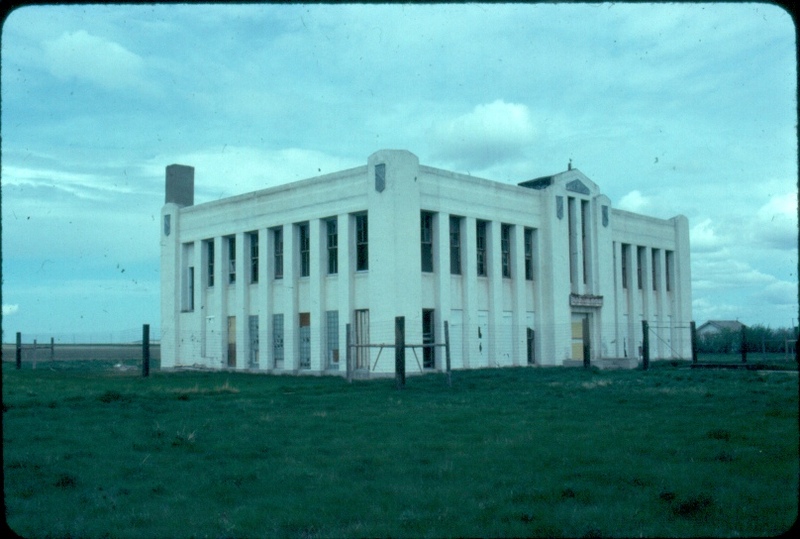 One of the most stunning properties I discovered in my 1984 survey of Montana–stunning perhaps because it was so unexpected–was the Art Deco styled school at Moccasin in Judith Basin County (central Montana). Moccasin is a tiny place, tucked away on a federal highway, true, but certainly not ever a major transportation or commercial crossroads. Yet here was one of the most architecturally striking schools built for a rural community that I have encountered, American West or American South or anyplace in-between. The white concrete hard-edged exterior spoke of the International style then raging in major cities across the world; the decorative metal insets were Art Deco in its purest form, as applied ornament that gave some life to an otherwise severe facade. A creature of the homesteading boom of the 1910s, the town suffered from fires that literally snuffed out the promise of the place by 1919. But nearby was the Central Montana Agricultural Station, and from what I can gathered from web sources the school stayed in operation till 1966, with regional educators considering the high school agricultural and vocational education programs at the school to be noteworthy. The web, particularly Flickr, has a range of photos taken of the school in more recent years. Here is the one I took in May 2013. Compared to 30 years ago, a tall line of bushes now obscures views of the first story; obviously the building has deteriorated, and now would be considered in poor repair. 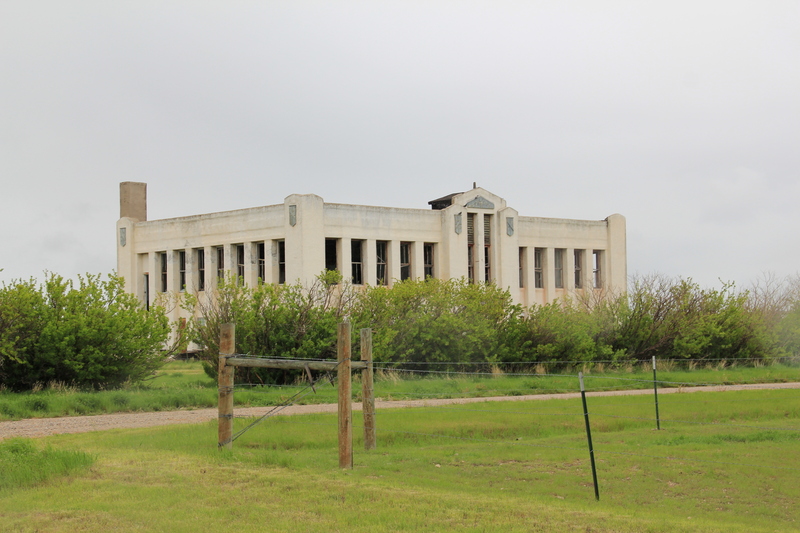 This entry was posted in Uncategorized and tagged Art Deco, Judith Basin County, School by carrollvanwest. Bookmark the permalink.